Mark Cohen is the Founding Partner and visionary of both OptiFour Integrated Wealth Management, LLC, and Cohen & Burnett, P.C., Attorneys and Counselors at Law. With over 34 years of experience, Mark has dedicated his career to helping individuals, families, and business owners secure their financial future. Prior to establishing the law firm, Mark was a Judge Advocate with the United States Navy (where he first met Wes Burnett) and then a tax manager at Goodman and Company, CPAs. By establishing OptiFour Integrated Wealth Management, Mark answered his clients’ call for a truly comprehensive approach to planning. Following his success in estate, trust, and legal planning, Mark sought to integrate his expertise and unite the disparate silos of the financial world under one roof. It was a deceivingly simple concept with almost no precedent in the financial sector. The emergence of OptiFour created a revolutionary home of financial coordination, a one-stop shop firm engineered to provide truly seamless plans for clients. With his acute understanding of each financial discipline, Mark develops strategies that align every aspect of his clients’ financial situation. 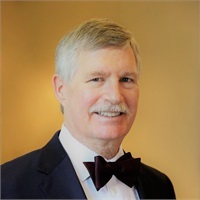 Mark is licensed to practice law in both Virginia and Arizona, and is in the leadership of the Real Property, Trusts and Estates Section of the American Bar Association, and the Cosmos Club (distinguished in the law), and is a long-time member of the Virginia State Bar Legislative Committee for Wills, Trusts, and Estates. Mark is a frequent lecturer and writer at attorney CLE seminars where he specializes in estate planning, financial planning, and ethics. In addition to co-authoring Lessons to my Children: Simple Life Lessons for Financial Success, Wealth and Abundance, he has been published extensively in trusts and estates journals and magazines, and is the author of the comprehensive treatise on the Uniform Trust Code, now in its second edition (Cohen, 864 T.M. 2nd, Uniform Trust Code). Mark lives in Vienna, Virginia, and is married to his wife, Leigh, with whom he has four children: Dana, Michael, Rachel, and Holly. Outside of the office, he enjoys woodworking, playing guitar, hiking, biking, and anything that involves the outdoors. He is also an Instrument rated pilot and an exhibiting landscape photographer and artist. Actively involved in his community, Mark supports the American Bar Association, the Virginia State Bar Legislative Committee, and the Uniform Laws Commission.